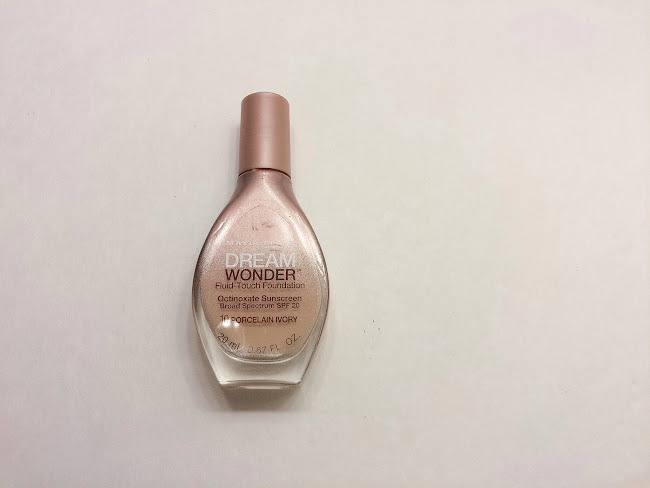 Today's review is on a new(ish) foundation to the drugstore: the Maybelline Dream Wonder Fluid Touch foundation. Honestly I was going to skip over this foundation because the reveiws and videos I saw online didn't really wow me. But when it was on sale the other day at Meijer, I decided to go ahead and pick it up. Although I have a zillion foundations, I needed to pick up something lighter in shade as we move into winter. Currently I'm combining my Summer foundations with the lightest foundation I have - the L'Oreal Infallible 16 hour foundation. But a girl's gotta have options, right? So I grabbed it up. taken from the Maybelline website here. The foundation comes in a tear dropped shaped, glass bottle. Prices range but I find the cheapest place to find foundations, or make up in general, are big stores like Target, Walmart, and Meijer. While they don't always have the best sales you'll get the best full price option from these stores. I found mine at Meijer on sale but listed as a full price of $8.99 (get a $4 coupon here!). For that price you get .67 fl oz which is significantly less than the 1 fl oz in other foundations all around - high end and drugstore standard is usually around 1 fl oz. To dispense the product there is a tear drop shaped dropper attached to the inside of the top of the cap. The dropper is shaped this way with a point at the end and it's supposed to drop the foudation on to you fingers, etc with out contaminating the product. 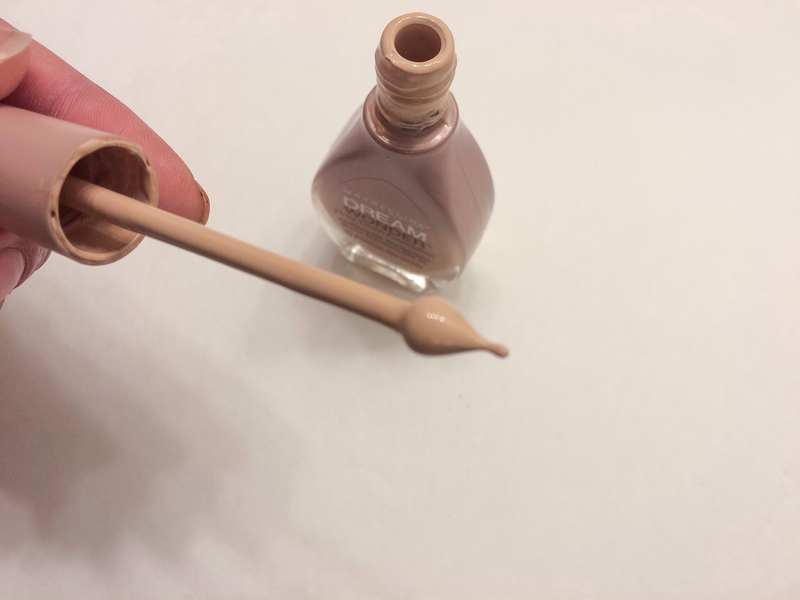 Even though this foundation is quite liquidy, it's not liquidy enough to freely drop from the dropper in any significant quintity. If it were able to do that I believe you'd get it everywhere! So I took the little dropper and rubbed in on the back of my hand. The consistency of this foundation is very, very runny. It reminds me of the Physician's Formula Spotless foundation in that it can go everywhere it's so runny. However the Maybelline Dream Wonder Fluid Foundation comes in much more shades. First off, let me mention that I have oily skin. We're getting into the cooler days here so it's not too bad in the Fall/Winter but I still am looking for a foundation that will combat the oil or at least keep me looking matte for longer. As a person that works all day long I'm looking for a foundation that won't go anywhere, won't slide around, and will keep me looking fresh all day. I feel like I've only said my skin type a few times here when I do reviews and it's pretty helpful to know what skin type a reviewer has! I applied this foundation to primed skin (I used Rimmel 002 Primer & Boots Matifying primer) using an angle top kabuki face brush (my favorite is in this set on Amazon...so affordable!). Like I mentioned above I used the dropper to lay some product out on the back of my hand then I dipped my brush in and buffed it into my skin. I was afraid that it would be very streaky because of the texture and consistency of the foundation but it actually blended in quite nicely. I found that the cleaner your brush, the smoother the application to the face. For some days I also used the Real Techniques sponge to apply this foundation. I did not find that the sponge soaked up the foundation at all. I was able to achieve the fullest coverage - up to about medium - with sponge application. I was super surprised about the coverage! If you've read or watched any reviews where someone says that there is coverage with this product but your natural skin shows through....it is true. 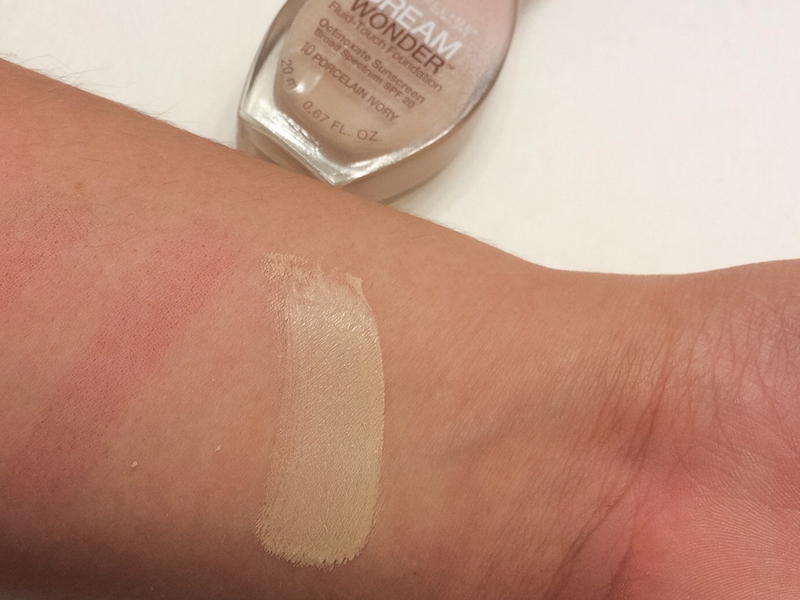 Try to imagine with me now - When I applied this foundation I was in awe at how it blurred the imperfections in my skin but really kept it looking natural. I would say the coverage on this is sheer to medium, however I built it up to medium because of the imperfections on my skin. It looks as though I have less imperfections on my face than I actually do. It looks natural but my imperfections are blurred. The texture once applied to the face isn't quite a liquid to powder finish, but it is unique. It feels soft and smooth on the skin with out feeling sticky and with out looking powdery. As always I powdered my face after applying this foundation - I used the NYX Stay Matte But Not Flat Powder Foundation. On my oily skin I do think it lasts pretty well through out the day. At around the 3 hour mark it still looks flawless, I did notice a subtle dewiness (or oil if you want to be specific) but it wasn't too bad. At this point it didn't looked like my foundation was slipping and sliding it just looked radiant. Once around the 5 hour mark I noticed more oil showing through in my T-Zone and not in a pretty way. I blotted using the all so expensive face tissue and the foundation wasn't disturbed. It went back to looking pretty good. At this time the only bit of wear was creasing around the nose. At the 8 hour mark it wasn't looking too bad, not the greatest but still not bad. It looked like I'd worn foundation for 8 hours - it was still hanging on and maybe with a little touch up I could transition into something to go out to dinner in with out completely redoing my make up. I noticed some imperfections showing through but I could tell that overall the foundation was still there all over my face. If you blot this foundation it actually bounces back pretty well. Very little to absolutely none of the product transfers so you're only picking up the oil when you blot and not picking up your coverage. I also found that the matifying primer from Boots was the most successful at keeping the foundation looking good the longest. Additionally my blush stayed on my cheeks all day long which is a big one for me. I was swatching Wet n Wild lipsticks before this...can you see the stain they left behind?? Overall, I'm definitely impressed with this foundation! If you have oily skin with very few imperfections and it's in the cooler months you might get a lot of wear from this foundation. Although the light weight feel of the foundation would be perfect in the summer, I would be hesitant to use this in the heat as it might melt, slip & slide, and just overall not look very pretty. If you do get oily, don't worry about transferring your coverage when you blot off the oil. 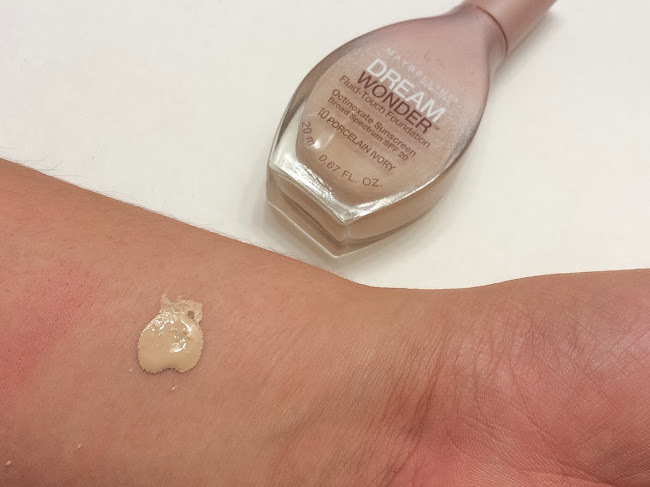 The coverage does stay and I would say it's because the liquid really sets into the skin. This foundation doesn't sink into my pores and really does even out my skin tone. The problems I have that I like to correct on my face are scarring and some redness. This foundation definitely cancels those problems out. I would consider this a foundation to wear on a good skin day. If you have active blemishes, cystic acne, darker scarring, or the like, this foundation probably wouldn't work for you. It is not high in coverage enough to distract from those problems - this is just personal preference! I know I prefer to have a fuller coverage foundation to cover redness and acne when I have a bad skin day because the fuller coverage covers everything and gives an even canvas. The color range of this foundation isn't great - it's no Revlon Color Stay - as there are only 12 shades. Additionally the color of the bottle sort of reflects the color of the product meaning that the bottle is actually colored but you can see the product through the glass. All in all if you have dry to moderately oily skin you might like this foundation. If you have great skin or are having a good skin day and want something very light, you might like this foundation. I would be interested to see how this foundation performs on my mom because I am thinking she might like it. What new foundations have you been loving from the drugstore?